Please join us at America’s largest bridal planning event. Meet face-to-face with local vendors. 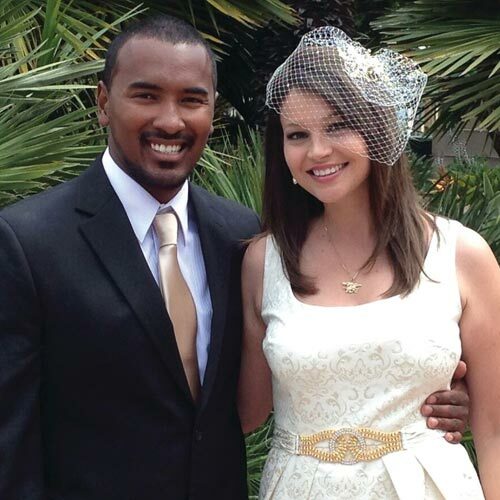 Taste cake, see fashion shows and enter to win honeymoons and shopping sprees. Don't risk selecting vendors you've only seen on-line. Be certain about your decision. 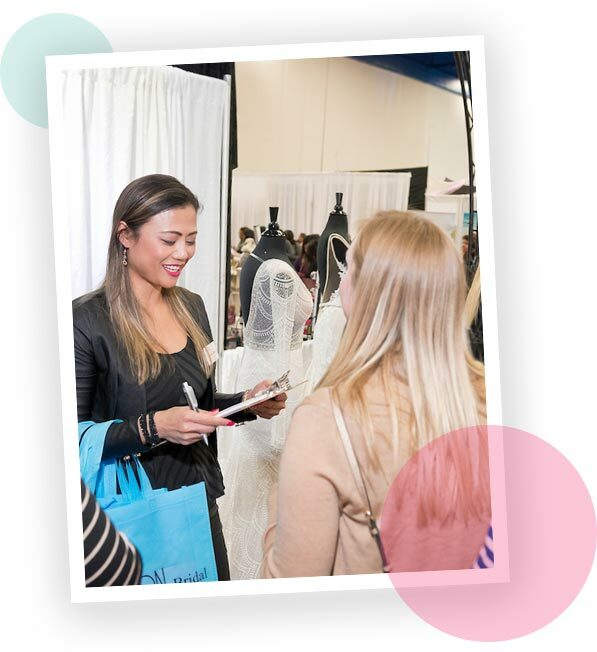 Meet your vendors in person at the Bridal Extravaganza! This is your wedding!!! 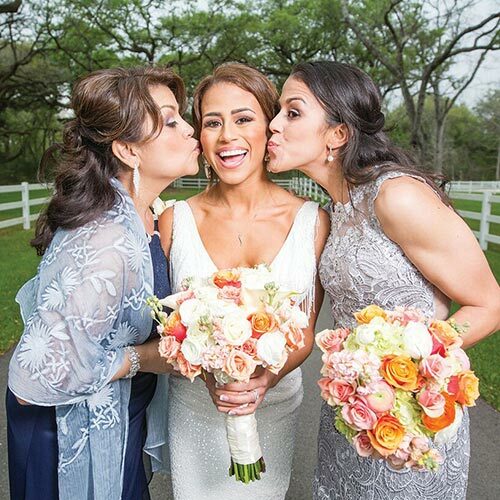 2 whole days of fashion shows, wedding seminars and over 700 display showcases featuring the best of the best wedding service companies in the Greater Houston area. This is your best opportunity to meet wedding vendors face-to-face. You can plan your entire wedding in one weekend. Childcare is available on-site for $15 per hour. Save 50% on General Admission for Sat or Sun till May 31st. Tickets are $15 online; $20 at the door. After sampling every single cake there, my favorite flavor was absolutely not what I expected! 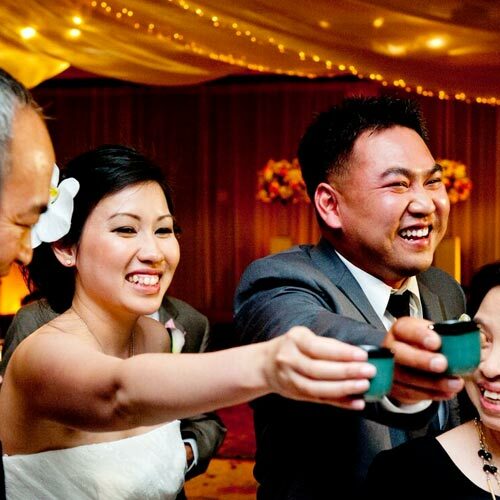 Looking online is helpful, but seeing and experiencing different wedding aspects in person is different. I’m really glad I went. I had a blast and was able to check some important things off my list. 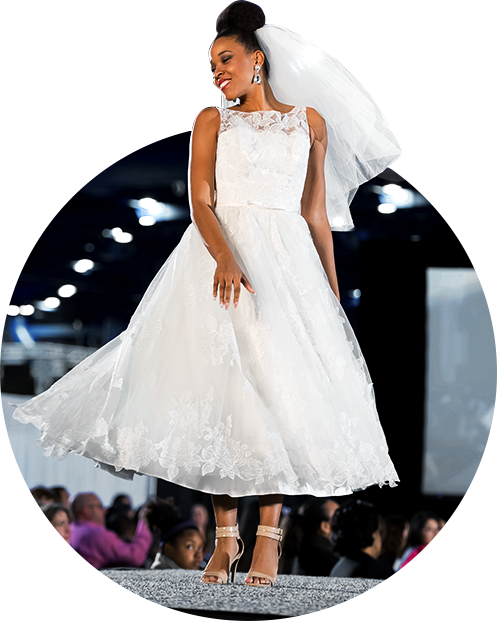 The Bridal Extravaganza Show brings the excitement of New York’s choreographed fashion shows right here to Houston. Each day, several formal fashion shows are presented on the 60-foot runway stage. You will find ideas and inspiration for weddings styles for your entire wedding party. It’s like Bridal Fashion week is coming to Houston. There will be more than ten formal fashion shows over the two-day event! We roll out the red carpet for our VIP brides. You will attend the wedding planning seminar and receive TWO Major Prize ticket books. The first 100 brides receive a signature swag bag containing a certificate good for a FREE ground package to Las Vegas.